Product prices and availability are accurate as of 2019-03-29 11:21:38 EDT and are subject to change. Any price and availability information displayed on http://www.amazon.com/ at the time of purchase will apply to the purchase of this product. 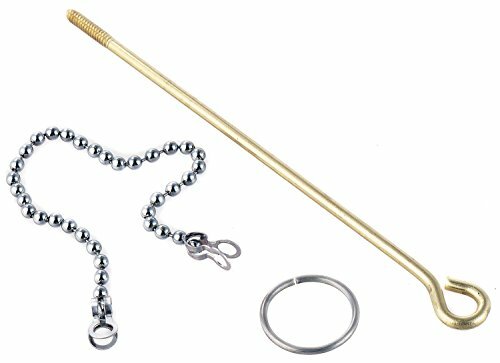 Waxman Consumer Grow up 7640550N Features: -Contains one lift wire, ring and chain.-Carded.-Brass/Chrome finish.-Application n: Toilet.-Product Type: O-ring; Lift rod.-Finish: Brass/Chrome. Contains one lift wire, ring and chain; Carded.